The quest to come up with an artificial system organised like the biological nervous system promises to drive the future of humanoid robots and pave the way for a generation of supercomputers that can perform highly complex decision-making for gaming and defense technologies. The effort to interest young women in the fields of science and technology received a boost on July 20 through a partnership between the College of Nanoscale Science and Engineering (CNSE) of the University at Albany and the Children's Museum of Science and Technology (CMOST) that showcased the exciting world of nanotechnology. More than 70 users of ZEISS electron and ion microscopes from all over the world have already submitted their nano masterpieces to the first ever Carl Zeiss Nano Image Contest. The current voting record of the overall competition is held by Peter Nirmalraj from Trinity College Dublin. To serve a world bent on gaining autonomous power for wireless sensors, MicroGen Systems LLC, of Ithaca and Cornell University's Energy Materials Center (emc2) have signed a memorandum of understanding to develop 'self-charging' batteries - that use background shaking and stirring for their energy source. Semiconductor Research Corporation (SRC), the world's leading university-research consortium for semiconductors and related technologies, the National Science Foundation (NSF) and researchers from the University of Connecticut (UConn) and Duke University have found a new way to significantly improve the screening of small delay defects (SDDs) commonly found in semiconductors. 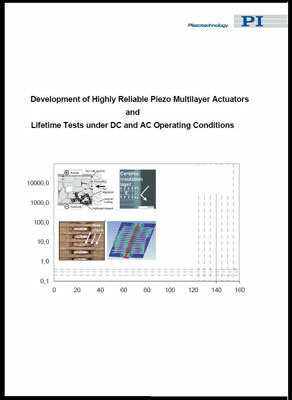 Piezo technology specialist PI Ceramic has released a new white paper on the development and test of highly reliable multilayer piezo actuators. Liverpool scientists have managed to create nanoscale knots in the laboratory by mixing together two simple starting materials - one a rigid aromatic compound and the other a more flexible amine linker. 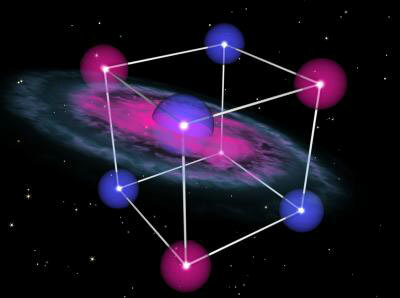 Electric dipole moment would explain the creation of the universe in the form that we know it. To trap and hold tiny microparticles, engineers at Harvard have 'put a ring on it', using a silicon-based circular resonator to confine particles stably for up to several minutes. Dr. Woo Young Lee of the Chemical Engineering and Materials Science department along with Dr. Hongjun Wang of Chemistry, Chemical Biology and Biomedical Engineering at Stevens Institute of Technology have recently received significant NSF funding for their research entitled 'Evaporative Assembly of Drug-Eluting Bioresorbable Nanocomposite Micropatterns'. The first-of-its-kind scientific review takes a historical look at the food system, the many challenges ahead, and the crucial role of food science and technology in meeting the needs of the growing population. Projects aimed at introducing silicon photonics in innovative products and build a unique value chain taking advantage of Europe's electronics industry. New quantum state of matter discovered in Heusler compounds - Researchers from Mainz and Stanford pave the way for spintronics, quantum computing and completely new physical effects. Wissenschaftler haben eine Schrift entwickelt, deren Pixel aus einzelnen Zinn-Atomen bestehen, die sich im Zentrum von Zinn-Phthalocyanin-Molekuelen befinden. How do you make a material that has the elasticity of a rubber band and the thermal insulation of a Styrofoam cup? 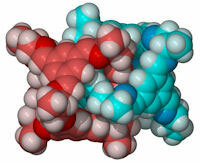 Connect two distinct polymer chains - poly(isoprene) and poly(styrene) - end to end like a series of children's building blocks. 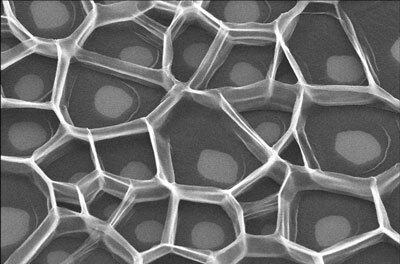 The result is an appropriately named 'block copolymer' that boasts the properties of both materials and is commonly used in the tires of automobiles and the soles of athletic shoes. CEMMNT, The Centre of Excellence in Metrology for Micro and Nanotechnologies, is set to host a brand new motorsport event on the 21st September 2010 focusing on the application of nanotechnologies in high performance motorsport and automotive engineering.